This collection of solar timekeepers includes the world's first digital sundial. 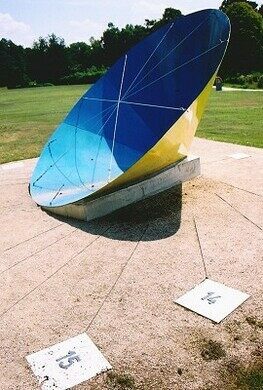 Opened in 2000 by the Flemish Sundial Society, the Genk Sundial Park includes over-sized models of many of history’s most incredible mechanisms for reading time off of shadows. 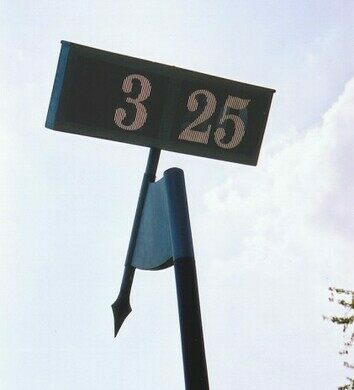 Located in the eastern half of the city’s Molenvijverpark, the collection also features the world’s first digital sundial. Inspired by a theorem proposed in 1990 by the mathematician Kenneth Falconer, the timepiece displays the hour and minute just as any standard digital clock would. However, it is entirely passive, and uses no electricity. Instead, the clock takes advantage of an ingenious masking system that uses a three-dimensional fractal to translate the angle of the sun into digital shadows. What was once a bustling mining installation is now a bustling hub of contemporary art. 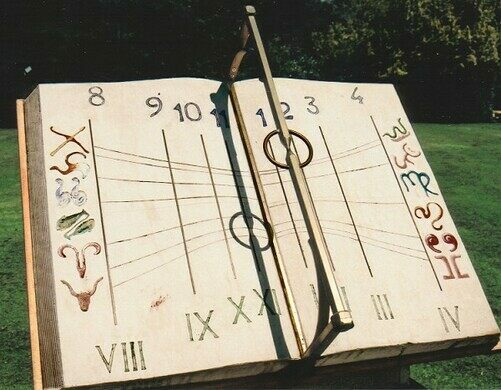 Modern sundial uses ancient methods to tell time and date perfectly.